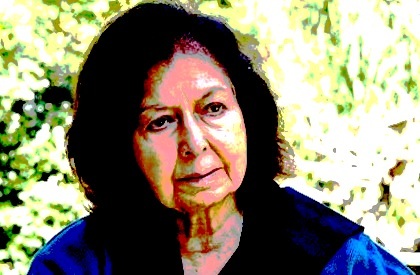 PUNE: In a strong statement, veteran author Nayantara Sahgal has said that the Government is dividing the people--between Hindus and the 'others'. Criticising the BJP-led government at the Centre, Sahgal said that the division is not just between Hindus and the rest (others) but it was between a 'militant creed' called Hindutva and those whom it calls the 'others'. Sahgal, 91, said that anyone who has a different opinion is instantly targeted and termed as an 'anti-national'. She rued that Hinduism is being misrepresented. She also said that those who don't toe the Hindutva line are now being singled out and punished. The outspoken author is known for her criticism of governments in the past too. She has been awareded the Bhai Vaidya memorial award. Though she could not attend the award function due to ill-health, this was part of her recorded video statement. On Sahgal's behalf, writer Kiran Nagarkar accepted the award. Sahgal is niece of Jawaharlal Nehru and had criticised Indira Gandhi too, during Emergency. A Sahitya Akademi award winner, she is daughter of Nehru's sister Vijaylaxmi Pandit. Nayantara Sahgal had returned her Sahitya Akademi award in the wake of attacks of rationalists-writers and the killings of Dr Dhabolkar, Pansare and MM Kalaburgi.